Summary: We will look at the evidence about how modern food causes disease through seeing some of the field studies of Weston Price D.D.S., along with his nutritional analysis of various diets. 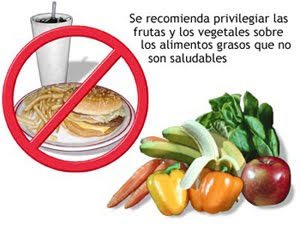 In understanding the Cause of Disease you will see that disease is a result of primarly our modern nutritional program. "I have referred to the fact that one of the leading Indian scholars of the western coast informed me that the primitive Indian language did not have words for 'rheumatism' or 'arthritis' in any of their various forms. He said these disease were unknown to the primitive Indians. At the point of contact with modern civilization where the only apparent important change has been the displacement of the native foods with the foods of modern commerce, I found arthritis and tuberculosis were common. In a group of twenty homes at Telegraph Creek and its vicinity I found ten bedridden cripples. Many of these cases were so hopelessly advanced that nothing could be done." Price, W. A. "Scientist do not understand the cause of __________ (fill in any disease name). There is probably not one cause, but many different factors. Family history is a risk factor, Scientists believe that genetics may play a role in getting __________ (fill in any disease name). ___________ (fill in any disease name) has no known cure, and the secrets to preventing it are not yet known." Disease is usually curable, and disease is not caused by genetics. Disease is passed down by intercepted heredity, which means, disease is first inherited through a nutrient deficiency passed from mother & father to child, and then this nutrient deficiency continues during the child's growing years, creating illness. An infectious disease is an illness that impairs our functions and supposedly results from the presence of pathogenic agents such as viruses, bacteria's, fungi, parasites and so forth. Some examples of diseases labeled as infectious are, cold's, flu's, tooth decay, respiratory infections, AIDS, Tuberculosis, Polio, Malaria, Measles, Pertusis, Tetanus, Meningitis, Syphilis, and Hepatitis B.
Alzheimer's Disease, Lou Gehrig's Disease, Heart Disease, Cancer, Atherosclerosis, Diabetes, Inflammatory Bowel Disease (IBD), Parkinson's Disease, Osteoarthritis, and Osteoporosis. We will now examine evidence to show you how nutritional deficiency is the primary cause of disease in the west. Like many of us, Weston A. Price, DDS (1870 - 1948), has suffered from the results of physical degeneration. His son Donald, died from complications of an infected root canal, which Dr. Price put in. Dr. Price examined physical degeneration by carefully studying people's teeth. What is true for the teeth, is usually true for the rest of the body. "While the cows spend the warm summer on the verdant knolls and wooded slopes near the glaciers and fields of perpetual snow, they have a period of high and rich productivity of milk… This cheese contains the natural butter fat and minerals of the splendid milk and is a virtual storehouse of life for the coming winter." These isolated Swiss children, were remarkably healthy. "The sturdiness of the child life permits children to play and frolic bareheaded and barefooted even in water running down from the glacier in the late evening's chilly breezes, in weather that made us wear our overcoats and gloves and button our collars." The health of these children is indicated by the well developed faces and lack of tooth decay. Whole Rye Bread, Summer Cheese (about as large as the slice of bread), which is eaten with fresh milk of goats or cows. Meat is eaten once a week. In a study of 4,280 teeth of the children of these high valleys, only 3.4% were found to have been attacked by tooth decay. In the Loetschental Valley 0.3% of all teeth where affected with tooth decay. The average rate of teeth infected with tooth decay in the US, which is possibly based on less stringent indicators than Dr. Price used, for 12-19 year olds ranges from 6.25% to 11.61%. Children in the Loetschental Valley where approximately 20 times more immune to tooth decay than modern children. In the 1930's, Dental Caries was a major problem for school children in modern parts of Switzerland, with 85-100 percent of the population affected. The local health director tried sun-taning the children, to prevent tooth decay, this did not work. Modernized - Is defined as people eating store bought food, living a convenience based lifestyle with products of commerce. This is similar to how we live in cities and suburbs today. Today in the US, 20-39 year old adults average nearly the exact same 25.25% of all teeth having been affected by tooth decay. There is merely a longer time delay in our culture for severe tooth decay to happen. Native diets provided several times more nutrients and fat-soluble activators than their displacing/Modernized diets. The reason for tooth decay and physical degeneration is shown in the tables analyzing the nutrients of the primitive and the modern diets. The modern diets are deficient in several crucial nutrients. "Stories have long been told of the superb health of the people living in the Islands of the Outer Hebrides." "The basic foods of these islanders are fish and oat products with a little barley. Oat grain is the one cereal which develops fairly readily, and it provides the porridge and oat cakes which in many homes are eaten in some form regularly with each meal. The fishing about the Outer Hebrides is specially favorable, and small sea foods, including lobsters, crabs, oysters and clams, are abundant. An important and highly relished article of diet has been baked cod's head stuffed with chopped cod's liver and oatmeal." "Their nutrition is provided by their oat products and fish, and by a very limited amount of vegetable foods. Lobsters and flat fish are a very important part of their foods. Fruits are practically unknown. Yet the physiques of these people are remarkably fine." "One of the sad stories of the Isle of Lewis has to do with the recent rapid progress of the white plague. The younger generation of the modernized part of the Isle of Lewis is not showing the same resistance to tuberculosis as their ancestors." "[The brother on the left had] excellent teeth and [on the right] rampant caries. These boys were brothers eating at the same table. The older boy, with excellent teeth, was still enjoying primitive food of oatmeal and oatcake and sea foods with some limited dairy products. The younger boy, seen to the left, had extensive tooth decay. Many teeth were missing including two in the front. He insisted on having white bread, jam, highly sweetened coffee and also sweet chocolates. His father told me with deep concern how difficult it was for this boy to get up in the morning and go to work." "An examination of the growing boys and girls disclosed the fact that only one tooth out of every hundred examined had ever been attacked by tooth decay. The general physical development of these children was excellent, as may be seen in the upper half of [this figure]. Note their broad faces." "This is in striking contrast with the children of the hamlet of Tarbert which is the only shipping port on the Isle of Harris.. These Tarbert children had an incidence of 32.4 carious teeth out of every hundred teeth examined. The distance between these two points is not over ten miles.. [They have] access to modern foods, since it supports a white bread bakery store with modern jams, marmalades, and other kinds of canned foods." "In Stornoway, one could purchase angel food cake, white bread, as snow white as that to be found in any community in the world, many other white-flour products; also, canned marmalades, canned vegetables, sweetened fruit juices, jams, confections of every type filled the store windows and counters." Isle of Lewis, In a count of one hundred individuals appearing to be between the ages of twenty and forty, twenty-five were already wearing artificial teeth. Isle of Skye, 16.3% or twenty-three times as many teeth as the isolated Gaelics had been attacked with dental caries. It should now be clear why isolated primitive people in the Swiss Alps and in the Islands off the Coast of Scotland maintained a high degree of health and a freedom from tooth decay. It should also be clear, why the modernized people in those areas, lost their immunity to tooth decay. The isolated diets contained several times the amount of water soluble vitamins, and particularly, ten times or more the amount of fat-soluble vitamins. Disease is not many times a result of, or caused by viruses or genetics. Disease is caused when our bodies are starved of nutrients from eating a diet that does not support the needs of the physical structures of our bodies. This graph shows how mother's are many times starving for nutrients prior to pregnancy. The deficiency is shown in this chart in two ways. Firstly, the large portion of women below the RDA standards, which are similar to the DRI standards for pregnancy. Then, in comparison, how low those DRI standards for nutrients are, relative to healthy Indigenous peoples. We have here, evidence of our modern nutritional catastrophe. The average male and female adult, at the time of conception and during pregnancy and lactation, probably is only getting half of the minerals, such as calcium and phosphorus they need for health, and probably one quarter, to one tenth of the fat-soluble vitamins (A,D, E, K) they need for a healthy body and thus for a healthy child. For these charts, the third molars (wisdom teeth) where excluded in the data. That means, on average, US adults have even more missing teeth than the figures are presented, since many adults have had their wisdom teeth removed. For ages 2-5 I assumed 20 total teeth, for ages 6-11 I made my averages assuming 24 total teeth, and for ages 12 and older the assumption is 28 total teeth. In examing the figures it is likely the data collection standards for determining whether a tooth was infected by decay varied widely. I believe the highest chance of tooth decay would occur during the period of rapid growth between ages 12-17. Nevertheless, you see that by the time you are in your 20's and 30's, the odd are you will have 7 teeth that are decayed. By the time you reach 60, this goes up to 17 teeth. The compelling information you see here on HealingOurChildren.org is available in an easy to follow print book format. Published book Healing Our Children will teach you how to have happy and healthy children today. Imagine life with less stress, less sickness and knowing that you are giving your best to your children. Book topics include, preconception, natural parenting, pregnancy diets, and how to have a safe birth.